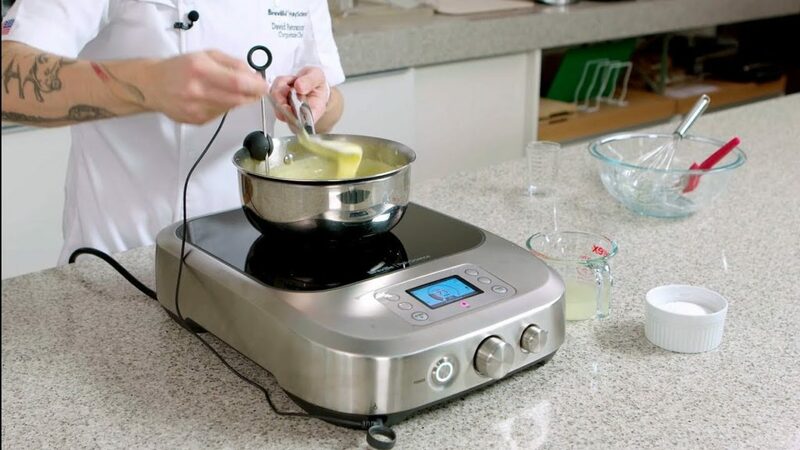 All good hollandaise sauce is based on a good vinegar reduction, if you are going to make hollandaise on regular occasion make a batch of this so it is ready to go, it keeps well at room temperature for several weeks. 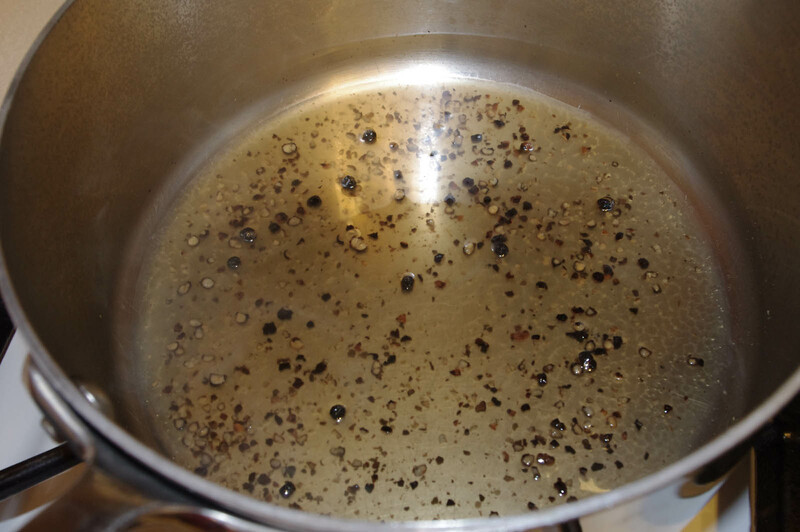 Place salt, vinegar and crushed peppercorns into a sauce pan and reduce by 2/3. Remove from heat and add water. This should give you 40ml of finished reduction. strain out the peppercorns and we are ready to make hollandaise. This is where we break all of the rules of hollandaise making. Place a small induction ready saucepan on the Control Freak, push the silicon probe holder onto the side of the pot. Plug the probe in to the Control freak and slide it in to place on the side of the pot. Place the egg yolks and vinegar reduction in the pot and whisk together, now throw in all of the butter. Push the intensity button on your Control Freak twice to adjust it to medium and set the temperature to 75°C, press the probe button once and set to Probe control. Now just stir gently with your whisk until your hollandaise come together as the lightest fluffiest hollandaise you have ever made. 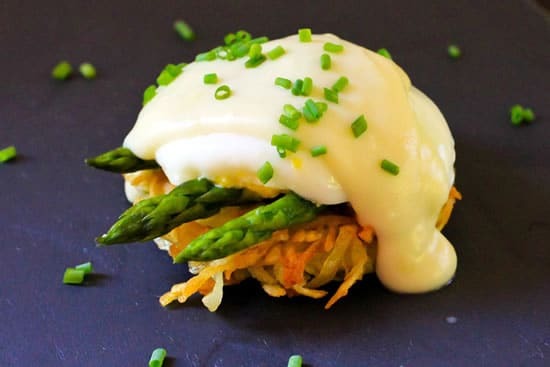 once you are happy with your sauce turn the temperature down to 68°C to hold the hollandaise until you are ready to spoon it over your poached eggs. Adjust the seasoning at this stage with your lemon juice and salt.